Product prices and availability are accurate as of 2019-04-14 08:00:40 UTC and are subject to change. Any price and availability information displayed on http://www.amazon.com/ at the time of purchase will apply to the purchase of this product. 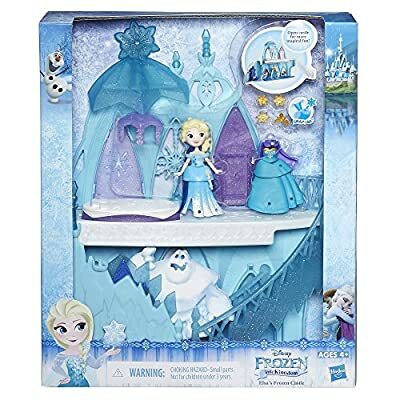 Disney Frozen Little Kingdom Elsa's Frozen Castle: Everyone willing to gift their little ones something to play with during the rainy days should check this one out right now! 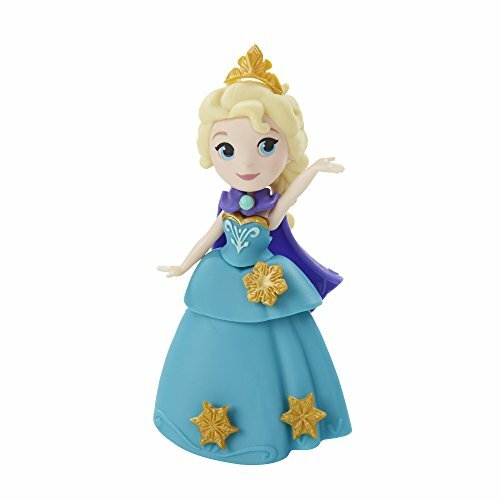 All the little fans of Elsa and her friends can now take their beloved heroes everywhere! This little castle can become their personal kingdom where they can spend whole hours playing and training their imagination. The toy is designed to resemble the character from the famous animated movie "Frozen". 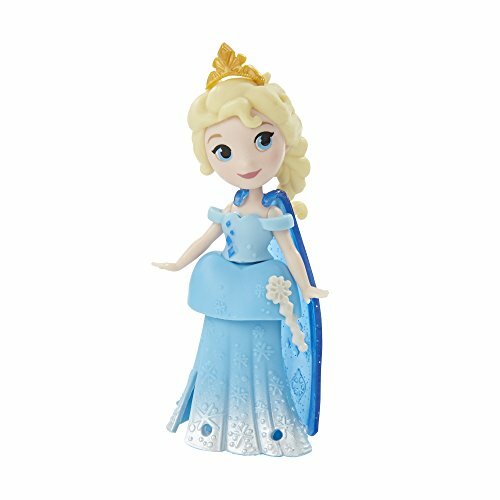 It is an ideal gift for all the little girls who love Elsa and would like to play with her every day. The toy is made to be safe for children of four years of age or more. The toy is a pretty and colorful construction. It's not ugly at all, even if Elsa's miniature doesn't resemble the Disney's cartoon style. It's small and easy to carry around, so whenever you go on holiday, you can pack it for your child without worrying about the space. It's great that Elsa's look can be modified, seeing as a lot of dolls of this kind limit these possibilities. Elsa's Frozen Castle is a pretty piece but unfortunately that's all about it. There is not much to do with the toy and no real ways to interact with it. The child's play will come down to changing the skirts and "walking" the doll up and down the stairs. The pieces are also rather small so if your girl tends to lose her toys, it's likely she will soon have issues to find these parts. Elsa's Frozen Castle is a pretty, aesthetic toy that costs around $16. 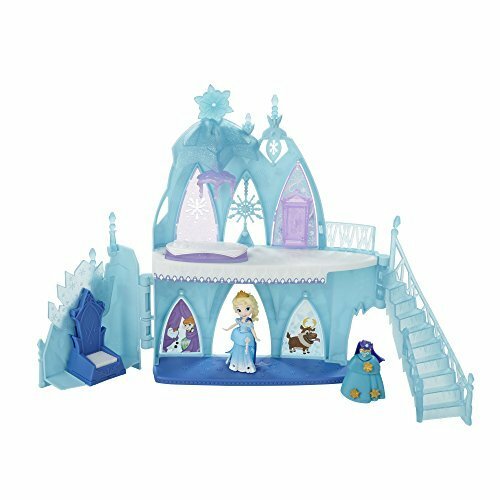 The set contains a little doll of Elsa, the castle and a lot of other parts. These include two bodices, two peplums, two skirts for Elsa, two different capes, and four snap-ins. For this relatively small price, you get a lot of pieces for your child to combine the way they want to! For the number of elements and possibilities it gives, we could say this product could be cheaper. It is likely that if a child isn't a great fan of Elsa, they will quickly get bored with this hardly interactive toy. Besides that, the Frozen Castle is pretty and pleasant to look at, even as a decoration for a child's room. However, it is not a very high price for a lot of joy it can bring to a little Elsa fan. 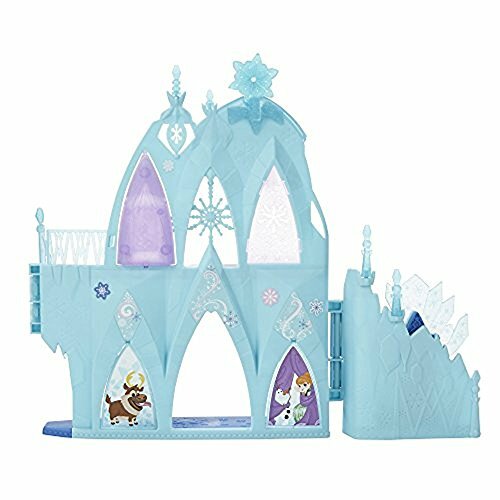 Elsa's Frozen Castle is a pretty little toy for all the girls that loved the movie. It's reasonably priced and it has numerous elements to play with. It is a good choice for a gift, unless you look for a toy that offers much more interaction or playing ideas. Includes playset, doll, 2 bodices, 2 peplums, 2 skirts, 2 capes, and 4 Snap-ins.